Jamie Oliver has revealed he turned down the chance to appear as a Hobbit in one of Peter Jackson’s big screen blockbusters. The celebrity chef said he had been offered the role in return for flying to New Zealand in 2001 to cook at Peter Jackson’s 50th birthday celebrations. “I really wanted to do it,” Jamie Oliver revealed during filming for his new TV show. However, Jamie Oliver went on, he was unable to accept due to work commitments. 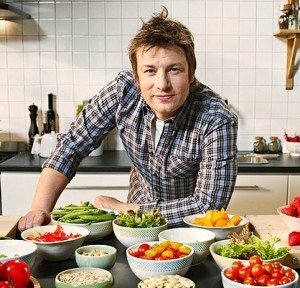 Jamie Oliver spoke about the missed opportunity while filming his new Channel 4 series Jamie and Jimmy’s Friday Night Feast, alongside his friend Jimmy Doherty. The first edition of the six-part series, filmed in a pop-up cafe on Southend pier in Essex, is due to be screened on January 2. Jamie Oliver’s non-appearance has not stopped the Hobbit films racking up epic box office returns around the globe. That success story has been maintained by The Hobbit: The Battle of the Five Armies, the third and final installment in Peter Jackson’s fantasy saga.